Club Penguin Cheats by Mimo777 Club Penguin Cheats by Mimo777: Puffle Party (Gotta Have a Wingman) Music Video! Club Penguin is busting so many secrets, we'll be tipping the ice berg in no time! Why Have People Stopped Commenting?? P.S: Mimo777 Is The Best And Always Will Be Cus No Blog Can Beat Him! I really hope its for members only! and I hope members get the puffle spa room again! cause that was an epic room!!! 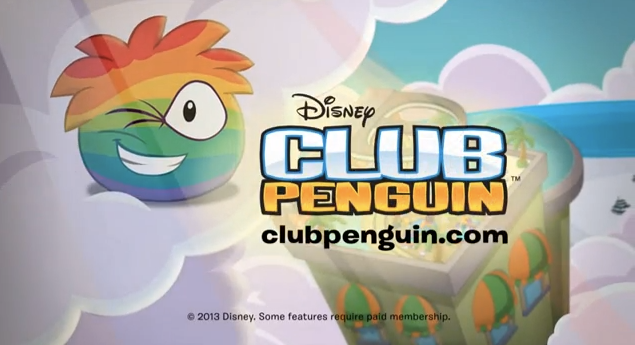 CLUB PENGUIN IS GETTING A RAINBOW PUFFLE FINALY!!!!! Yeah I think its members only, but I'm a non member. But this doesn't mean the rainbow puffle will be out... we really don't know! Yeah, the rainbow puffle IS gonna be out. If you read the newspaper... We're gonna be building a hotel to reach that cloud! !